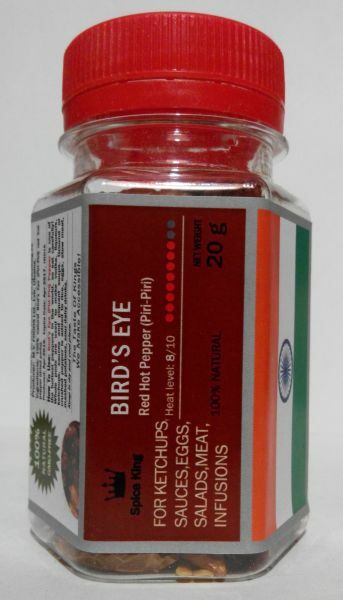 Ingredients: 100% natural Bird's Eye Pepper (Whole small pods). How To Use: Bird’s Eye (Piri-Piri) Pepper is one of the hottest peppers, so use it carefully! 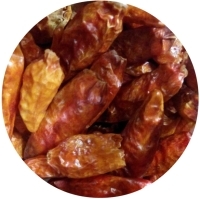 Whole pods are used to make vodka, liqueurs, ketchups, sauces and piquant soups. Ground or crushed pepper is added to rice, eggs, stew meat, mashed potatoes, sour dairy drinks. 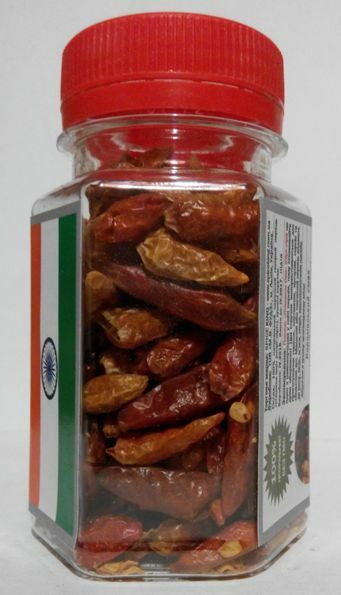 20 g net weight (100ml PET jar) - USD 2.00 (USD 100.00/kg).